Uniquely colored fruit with pale green to yellow skin with distinctive red dots. 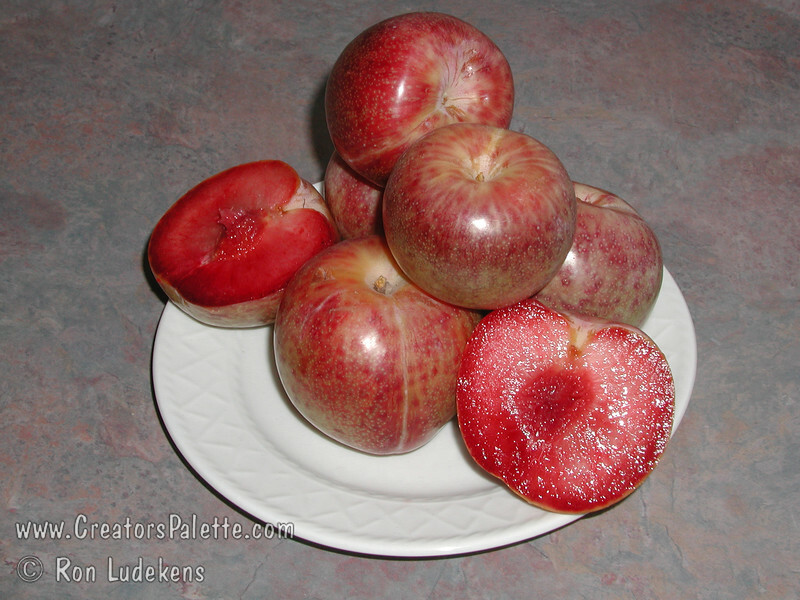 Flavorful, creamy, pinkish-red flesh with plum-apricot flavor. Pollinizer required such as Flavor Queen, Flavor Supreme Plumcots, Santa Rosa or Burgundy plums. Freestone. Ripens: August. Requires 4-500 hours chilling below 45º F. Cold hardy to U.S.D.A. Zone 7.